There's some real talent in NZ, and Graceybones proves it with her vision of the Shield Wall which protects Batmunkh Gompa! 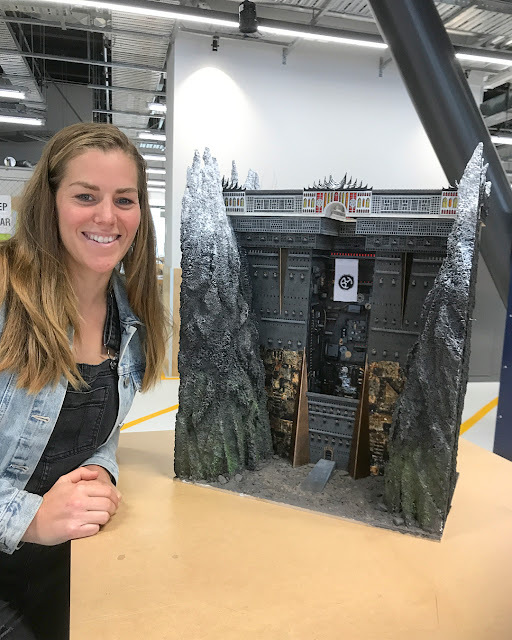 "Here is one of my finished projects from polytechnic last semester, it's a concept model I designed of the shield wall from the book Mortal engines. Built using laser cutting, 3D printing and kit bashing. Had a blast making it! The book is being made into a movie which is coming out in December, can't wait to see what their wall turns out looking 🤓 I love this stuff! Can you tell?"